On February 5, I posted a piece called "The authority question restated." I argued that the uncommitted inquirer, seeking the full and true presentation of the deposit of Christian faith (DF) as an object of faith rather than just of opinion, faces a choice between three mutually incommensurable "hermeneutical circles": the Protestant, the Orthodox, and the Catholic. Each such circle can be viewed as a set of criteria for identifying the objective content of the DF precisely as an object of faith not opinion; as such and necessarily, each HC identifies an authority of ultimate appeal for distinguishing between true and false doctrine. Despite the rather considerable range of readers with whom I have discussed such matters, the only serious objection I got in the combox to my characterization of the three circles was from a Catholic who suggested that my characterization of the Protestant HC made that HC seem too irrational to be true. But I got no similar objection from Protestants—indeed no objection at all, despite the eagerness of some Protestant readers and their sympathizers to engage me on closely related matters, such as "the development of doctrine." I shall accordingly proceed on the assumption that my brief characteriztion of the Protestant HC, at least for present purposes, is fair. But why not simply join the battle plainly at this point? The Catholic hermeneutical circle is the abductive explanation for the objective sensus ecclesiae. The difficulty with claiming this or that doctrine developed by abduction, even if that doctrine happens to be the authority of the Pope, would to me take too narrow a view of the strength of abduction. If we are going to use abduction as a criteria for what to believe in this or that other case, then why not use abduction to determine the best global theory of authority? What's interesting about JP's move is that it invokes abduction not merely as a means to assess the rational justifiability of this or that particular instance of DD, but also as a means to evaluate each of the HCs as a whole against each other. As a Catholic, he naturally sees the Catholic HC as abductively superior to the alternatives, and on that score I would ultimately agree with him. I would even agree that the species of abduction known as "inference to the best explanation" can be a fair way to evaluate the three HCs against each other. But I have a deep reservation about proceeding in such a fashion for purposes of debate, as distinct from dispassionate inquiry; and the reasons for that reservation suggest to me an alternative approach that the uncommitted and dispassionate inquirer might find useful. The problem is this. Even granted that the data which each HC is offered to explain can be relevantly and accurately characterized independently of commitment to one of the HCs, each HC perforce organizes and interprets the data in its own terms. Thus, given the same large and detailed set of data, an adherent of any one HC will organize and interpret them in a way designed to fit within the HC to which he is committed. The most common example of the difficulty that poses is the centuries-old, indeed interminable debate over what non-Catholics call "the papal claims." Given the same first-millennium historical data drawn from Scripture, Tradition, the resolution of schisms, various statements of the Fathers, and the practice of ecumenical councils, Protestants and Orthodox will organize, interpret, and in due course explain that data differently from, indeed incompatibly with, how Catholics do. Thanks to the efforts of church historians and other scholars, there might be very considerable agreement as to what the raw data are; but there is no theologically significant agreement on what the raw data mean. The same goes for many other points of doctrinal contention between the three main traditions of Christianity. That is why debate, even if it occasionally induces this-or-that individual to change their mind, will ultimately resolve nothing between the three main traditions as a whole. And that is just what we should expect, given that the data are interpreted from within the three mutually incommensurable HCs defining the three traditions. In the very nature of the case, it is not possible to rationally induce somebody committed to one of the three HCs to see the others as doing more than begging the key questions. Indeed, an adherent of any one HC will often see the others as viciously circular. That presents a problem for the uncommitted and dispassionate inquirer seeking to determine which of the HCs is abductively superior to the others, at least regarding that aggregate of data which interests her; for it is virtually impossible to organize and interpret the data in any theologically significant way without committing oneself to one of the three HCs. Professionals engaged in non-confessional "religious studies" can and do offer helpful perpectives, but those do not and cannot settle any of the theologically significant questions. In view of that difficulty, I'd recommend splitting up the choice for the dispassionate and uncommitted inquirer. Rather than undertake to compare each of the three HCs directly and severally against each other, as abductions from agreed-upon and putatively neutral data, it would be more fruitful to divide them into two pairs of alternatives and only then abductively evaluate the members of each pair against each other. The first pair consists of the Protestant HC on the one side and the Catholic and Orthodox HCs on the other. On my account of the Protestant HC, the complete objective content of the DF can and ought to be reliably identified, via Scripture, in a way that is entirely independent of the question whether some visible, historically continuous body called "the Church" has inherited from the Apostles their divinely-bestowed office of teaching in a manner that binds all believers. For once one has been given—by scholarship, the Holy Spirit, or both—the right hermeneutic for interpreting Scripture, then employing that hermeneutic will yield up the "inherently intelligible" content of Scripture as the Word of God, and thus obviate the need to rely on merely human ecclesial authority. Indeed, the Word of God will come to be seen as convicting any such authority of hubris if it claims for itself any more authority than that of handing on the raw data of the DF and reminding people of the ancient hermeneutic rendering them intelligible and adequate as an expression of the DF. The Orthodox and Catholic HCs, on the other side, each insist that something called "the Church" has received from the Lord the same degree (though not the same kind) of authority as the Apostles to teach in a manner binding all believers. That is because both traditions take such a self-understanding on the Church's part to belong, itself, to the objective content of the DF "given once for all to the saints" and handed on to us through the apostolic succession of the bishops. 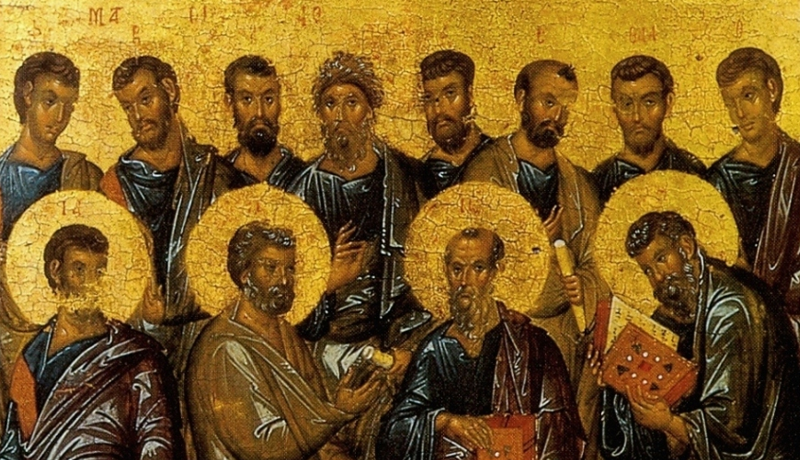 There are of course important differences between Catholicism and Orthodoxy on the questions just how that authority is to be recognized and by whom it is exercised; and as I said in my post on authority, those differences are great enough that each communion, the Roman and the Orthodox, sees itself rather than the other as "the" Church. I shall return to that difference shortly; for now, I want to bring out what the uncommitted and dispassionate inquirer needs to consider toward the goal of deciding between the two pairs. The choice presented by the first pair is between denying and affirming that the DF includes a belief that some communion of churches called "the Church"teaches with a living, authoritative voice enjoying the same degree (though not kind) of authority as the Apostles. Another way to put the same point would be this: the choice is between denying and affirming that the objective content of the DF includes that special, epistemically crucial point about the authority of the receiving subject of the DF, namely God's people, the Church. I would further suggest, nay insist, that the question the inquirer first needs to ask herself here is which choice better facilitates the assent of faith as distinct from and beyond opinion. The preferable choice is the one that better facilitates the former. But one may well ask why I frame the choice in such terms. The purpose of comparing all the HCs with respect to abductive quality is to determine whether any of them is a more reasonable HC to adopt than its competitors. Assuming that each HC is meant to cover the same set of data—in this case, those of Scripture and Tradition—each can be evaluated in abductive terms: the more reasonable one to adopt is the one with the best abductive qualities such as internal consistency, capaciousness, parsimony, and the like. The more "reasonable" an HC is by such measures, the more suited it is to facilitating the assent of divine faith as opposed to mere opinion. Now I believe that there is a genuine, rationally justifiable choice, in terms of relative abductive quality, between the two members of the pair I've been describing. But for the reasons I've given above, they cannot by themselves settle the choice in a rationally compelling way. Things could hardly be otherwise. The logic of the situation entails weighing inductive probabilities rather than exhibiting deductive necessities, and the measure of such probabilities will always be imprecise and uncertain opinions. Precisely because they are opinions, they cannot substitute for the assent of faith. The relative, abductive quality of such opinions will only tell us which HC is the more reasonable one to adopt, and therefore which is better suited to facilitating the assent of faith. 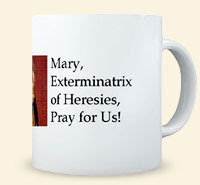 The other pair of choices is that between the Orthodox and Catholic HCs themselves. Even if one rejects the Protestant HC, thus affirming that the DF posits the living, unitary voice of "the Church" as an authority beyond appeal in matters of doctrine, one has still not settled the question which of the two communions, the Roman and the Orthodox, is "the Church" and thus speaks with the authorized voice. In order to settle that question for herself, I would suggest, the uncommitted and dispassionate inquirer who has got thus far needs to shift focus from the full range of abductive criteria I named above to those of capaciousness and simplicity in particular. Which HC explains "the most with the least," and thus yields the most elegant explanatory model? I put the question that way for several reasons—the most important of which is that I believe there is little to choose between the two HCs on the question which better facilitates the assent of faith as distinct from opinion. As far as I can tell apart from the criteria of capaciousness and simplicity, they both facilitate the assent of faith equally. For, apart from how they respectively satisfy said two criteria, both are equally reasonable. But once again, and as I've explained before to my Orthodox interlocutors, I don't believe that applying even those two particular abductive criteria by themselves is enough settle the question in principle, even though it did work for me in practice. If one could "prove," from agreed-upon but theologically neutral data, which communion is "the Church," then the thing would almost certainly have been done by now and the loser would have withered away accordingly. That hasn't happened and isn't going to happen. But I've said enough to imply that, to my mind, the choice between Protestantism and the two older traditions is an easier one than the choice between the two older traditions. In my next post, I shall explain why I find that to be so. What Do the Readings Really Say?